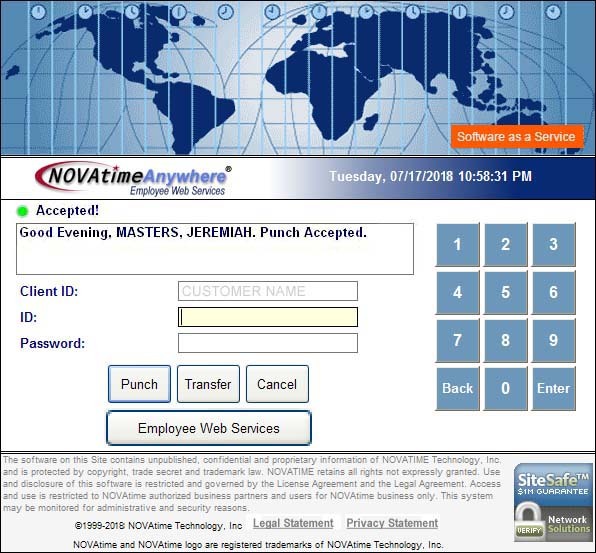 The NOVAtime 4000 Web Time and Attendance system can be accessed from the Internet through a secure browser connection allowing for Employee Punch access, Employee Kiosk access and/or Administrative / Supervisor access. 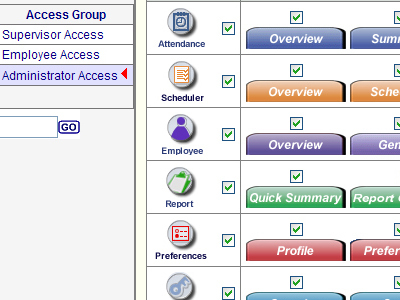 Access levels are configured on an individual basis allowing for IP level security access settings to be configured. Employees are only able to punch from authorized and approved access points while supervisors and administrators may be allowed to access the system anytime, anyplace, anywhere they can get internet access. Employees simply punch in and out through any computer with web access (this can be limited through configuration settings to only allow access from authorized IP addresses). It really is that simple. Optionally, hardware time clock terminals may also be connected for use with the system and require a secure connection via the internet to utilize our exclusive “Push” technology security and reliability. 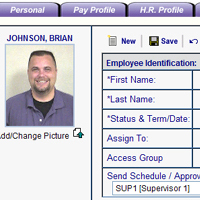 Employees can be set up to be able to sign in to either Employee Web Punch or Employee Web Kiosk, or both (click on the first photo above for a full view) as a part of any NOVAtime 4000 solution. 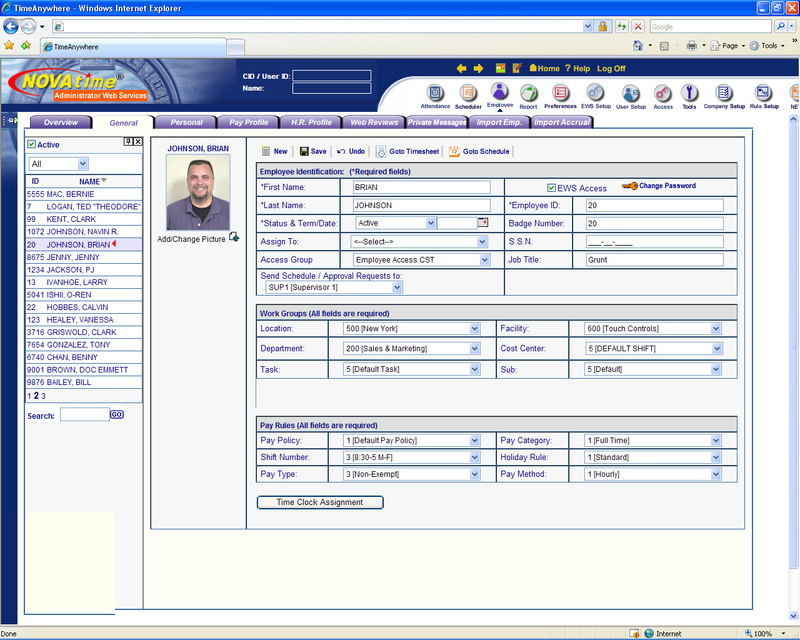 and can be configured to allow employees to access many features right from a web browser. Supervisor Web Services provides your company’s supervisors and managers with real-time access to time and labor data to proactively manage costs and staffing levels within your environment. SWS also provides the tools and interface to manage accruals and benefit hours, employee scheduling, employee timesheets and policy assignment, NOVAtime’s powerful reporting engine, and much more. 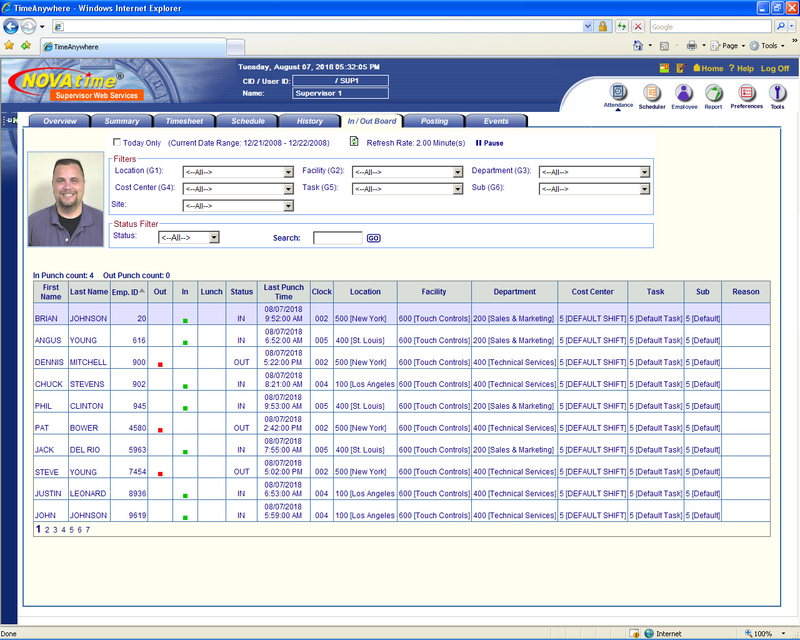 Employee Management - Setting up employees could not be simpler. 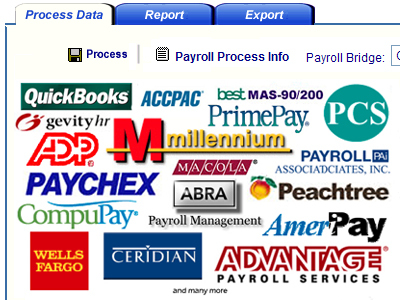 Information can be imported from an existing payroll or accounting system or manually keyed-in. 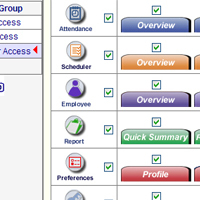 Up to 8 levels of employee groups can be defined (i.e. location, facility, department, job task, cost center, etc) to allow easy filtering of employees on reports by groups as well as hours worked in each specific group. 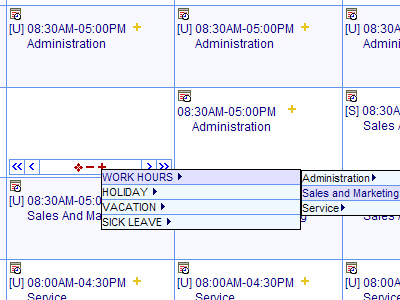 These group levels can also be used to allow employees to "transfer" when punching for easier automation of employee transfers between departments, job tasks, etc. Although only a few fields of information are required to set up and employee record, the NOVAtime 4000 is able to also handle variable pay rates and detailed personal information. In the Employee area you will also find tabs that allow for maintaining online web reviews, an HR Profile screen for maintaining personal employee data, and messaging capabilities to schedule and send an employee a private message at their punching location. 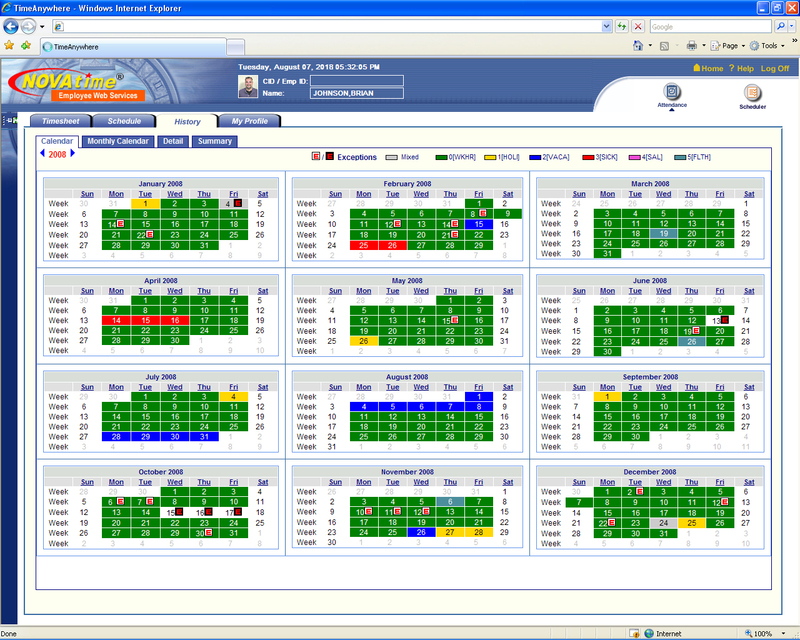 Timesheet Management - Customizable timesheet layout and order is just one of the many dynamic features of the NOVAtime 4000 Web time system's timesheet management area. 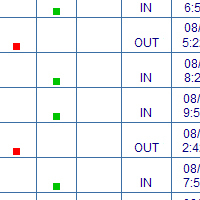 Choose the data columns and order you wish for your timesheet view. Customization of the timesheet view is done on an individual user login basis allowing for each user to have their own look and feel to best review and edit timesheets. In-cell editing, one-click note fields, and easy calculation override options make the NOVAtime 4000 Web timesheet an easy to use management tool. 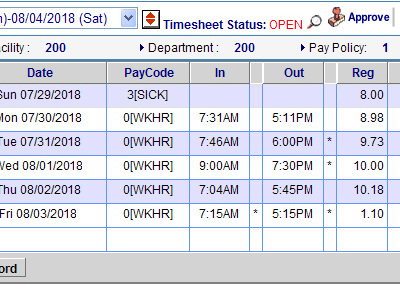 The Timesheet Summary, Accrual Summary, and Pay Matrix Summary (if enabled) allow for quick and easy reviewing of time distributions within the timesheet view. 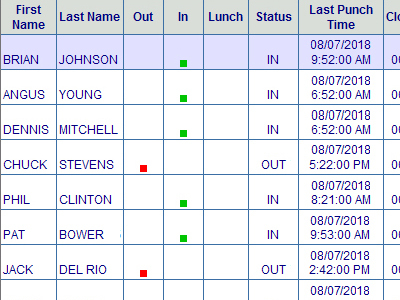 Navigation to previous pay periods and historical timesheets is easily accomplished as well as quick daily/pay period timesheet approval by supervisors and administrators alike. Once timesheets have been approved and submitted, no further editing by that user level is allowed, only higher level supervisors/administrators may edit or set approval status back for lower level user re-editing and re-approval/submittal. Report Management - Choose from over 100 standard reports available for time and attendance, management, human resources, labor costing, payroll, and more. 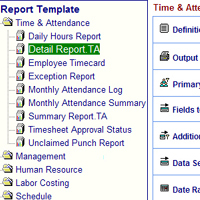 Report data can be previewed on the screen, sent to a printer, or even scheduled for automatic printing or email to defined NOVAtime 4000 users, including yourself. Formats supported are HTML, RTF, XLS or PDF. 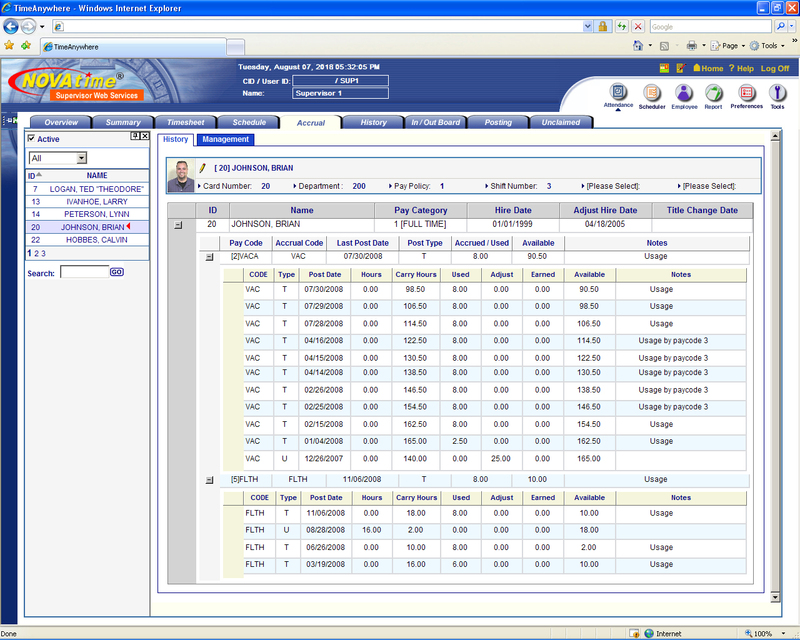 With dynamic sorting features and filtering you can generate thousands of report combinations. 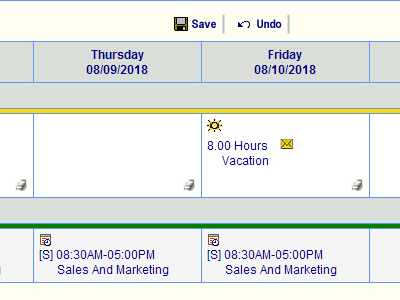 In / Out Board - The IN / OUT Board is a powerful and valuable tool to instantly find out which employees are currently clocked IN or OUT, or even on vacation, sick, etc. 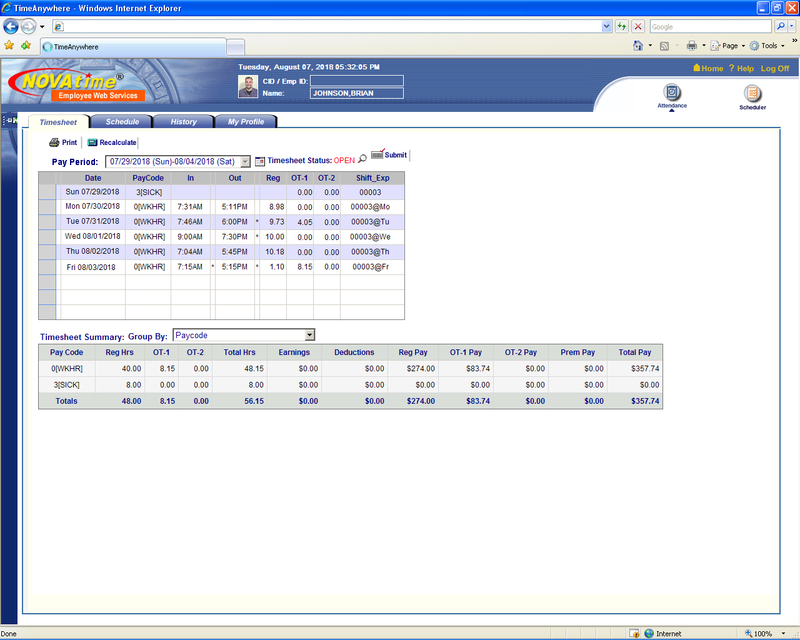 It is easy to use and can be filtered by and combination of group levels, punch status, as well as time frame. Managers, Supervisors, Receptionists, and Security personnel can instantly obtain the information needed with just a click or two and best of all, it's real-time; right up to the second automatically. 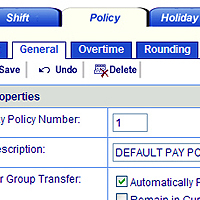 Pay Rules Management - The dynamic Policy Management allows an unlimited number of pay policy rules to calculate hours for different groups of employees. 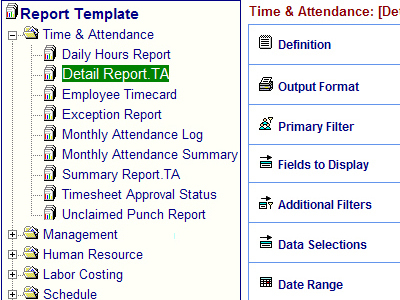 Several punch rounding rules and total hours rounding can be easily defined to accommodate your company's requirements. Up to 5 Overtime levels with calculations that can be defined after a predefined number of worked hours daily, weekly, biweekly, as well as for holidays, weekends, consecutive days, days off, etc. 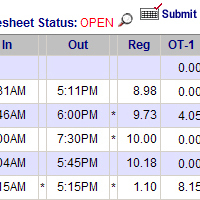 with definable overtime multipliers. 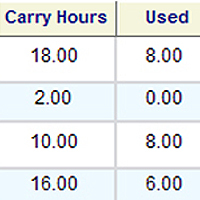 Additional overtime rules for unique needs include ability to accumulate daily overtime to the weekly overtime, out of shift / schedule overtime determination and allocation, and other special features. An unlimited number of flexible and/or fixed shifts can be defined with different meal deductions or paid breaks as well as differential pay segments, premium pay based on either workday or time period, and on call employees with minimum guarantee pay. 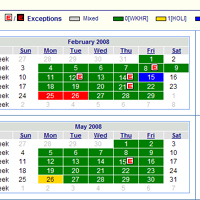 The extensive ability to configure workday expansion and work hours carry over rules, add a level of complexity for handling those tough 24/7 and/or third shift (crossing midnight shifts) that many other softwares struggle to handle properly. 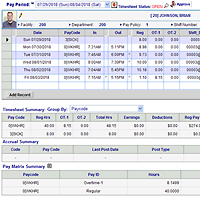 Dynamic shift configuration offers a third option within the shift management area, allowing for combining common fixed shift schedules into one dynamic shift assignment. Employees are assigned to the nearest fixed shift within the dynamic shift based on their in and out punches. 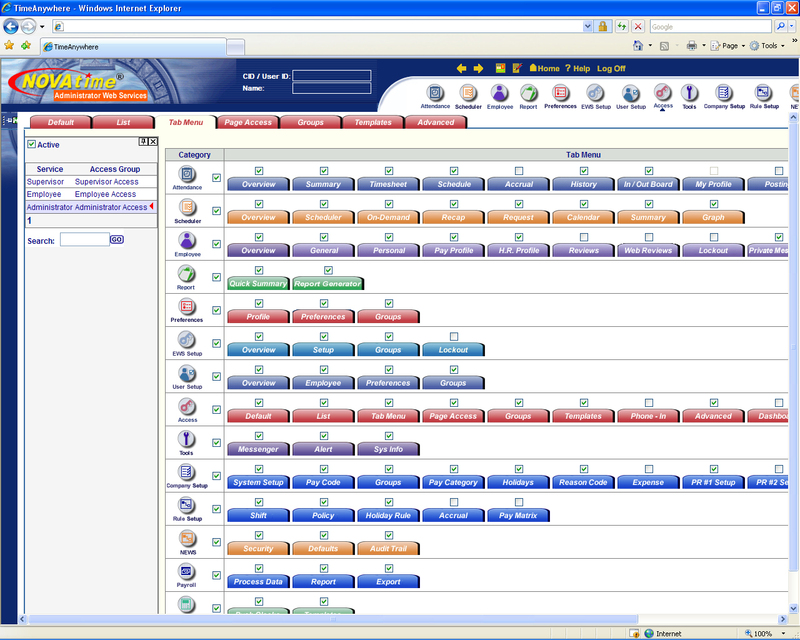 Scheduling Management - The NOVAtime 4000 Web offers one of the most intuitive scheduling set of of tools anywhere. 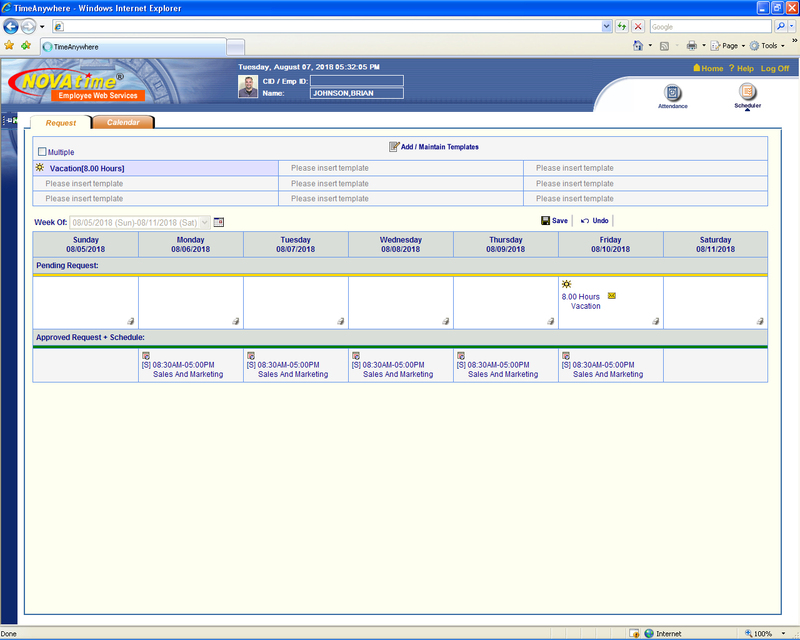 With multiple scheduling screens to choose from, users can schedule by individual or by group filtering. 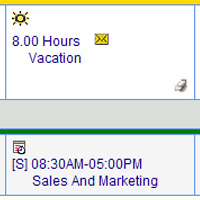 The Scheduling templates allow users to configure their most commonly used schedules for easy, one-click scheduling of employees. 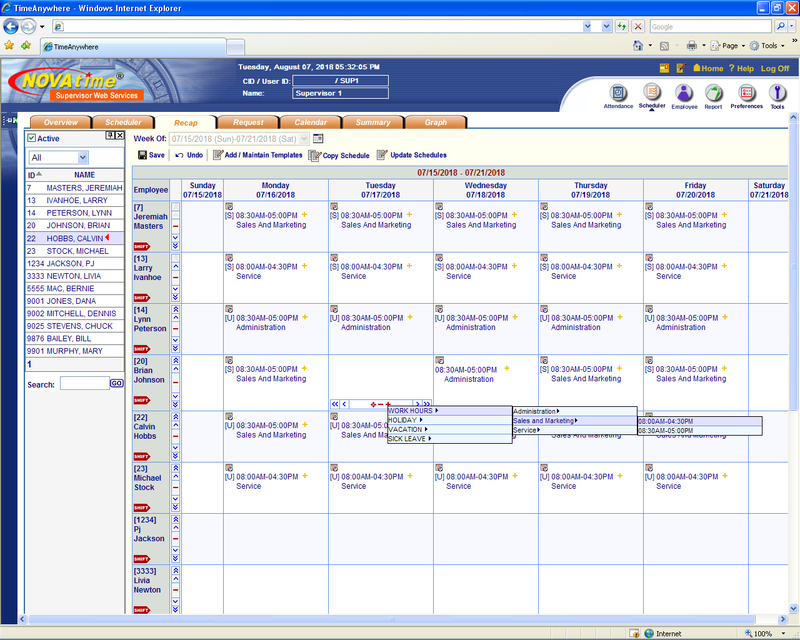 And best of all... the scheduling features just continue to grow and get better.. 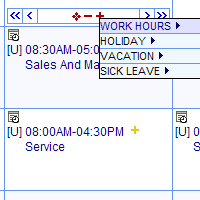 Employee Time-Off Request - Employees can request time off (vacation PTO, special needs, etc) right from the Employee Kiosk or from select hardware time clocks that can be optionally added to the system. 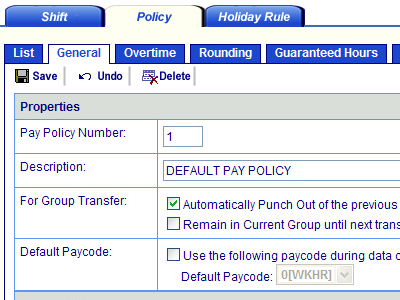 Administrators can configured predefined time off request template for employees to use which then automatically forward an approval request to the employees supervisor. 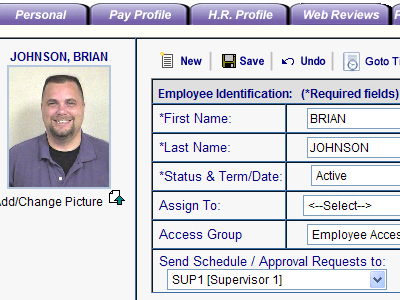 Enhanced options standard with the Time-Odd Request feature includes the ability to notify supervisors via email that one of their employees has made a time-off request, request racking for whether supervisor / employee has read the request or the approval / decline of the request, and can even require employees to provide a receipt of acknowledgement once the supervisor has notified electronically of the approval or declining of each time-off request. 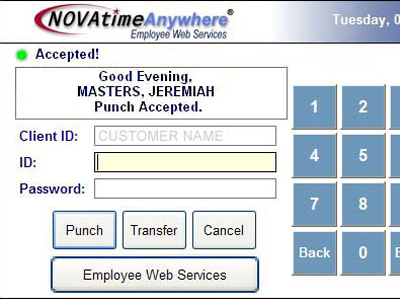 Employee Punch with Kiosk - The NOVAtime 4000 Web comes standard with the Web Punch modules. 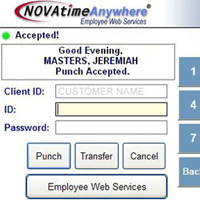 Employees can be set up to be able to sign in to either Employee Web Punch or Employee Web Kiosk, or both (click on the photo to the left for a full view) as a part of any NOVAtime 4000 solution. 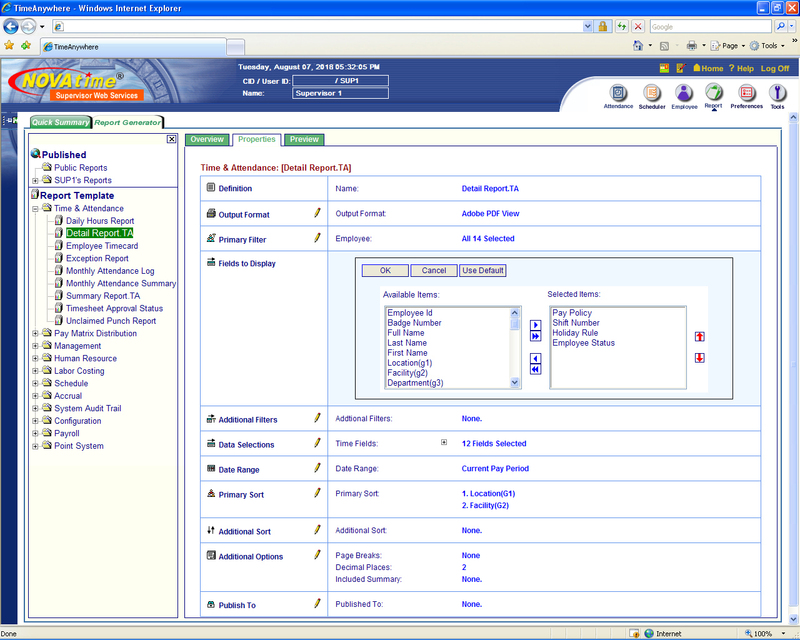 Both the Employee Punch and Employee Kiosk areas have configurable items that make it easy for administrators to configure punch collection and employee information sharing (with the individual employee only). 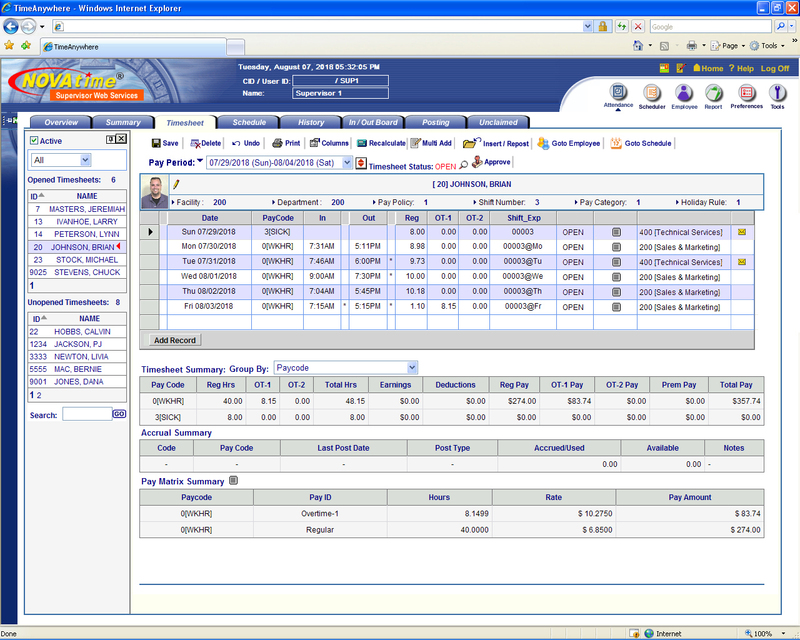 The Employee Kiosk allows for sharing current and historical timesheet punches, totals, and distributions, scheduling and time off requests, private messaging and even access to the employee's personal profile area so that employees can be more proactive in their own time and attendance maintenance and accuracy. All these great feature are controlled through access rights defined by the Administrator and all features can be individually turned on or off or even set to full or read only access for each employee. Access and Security Management - The NOVAtime 4000 takes it's security and controlled access very seriously. 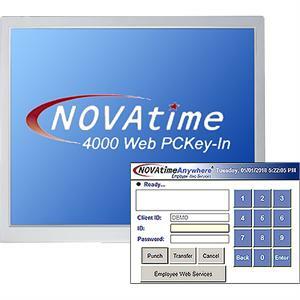 No other web based time and attendance system offers the high level of system security methods and practices coupled with infrastrucutre and configurable performance securities as the NOVAtime 400 Web system. 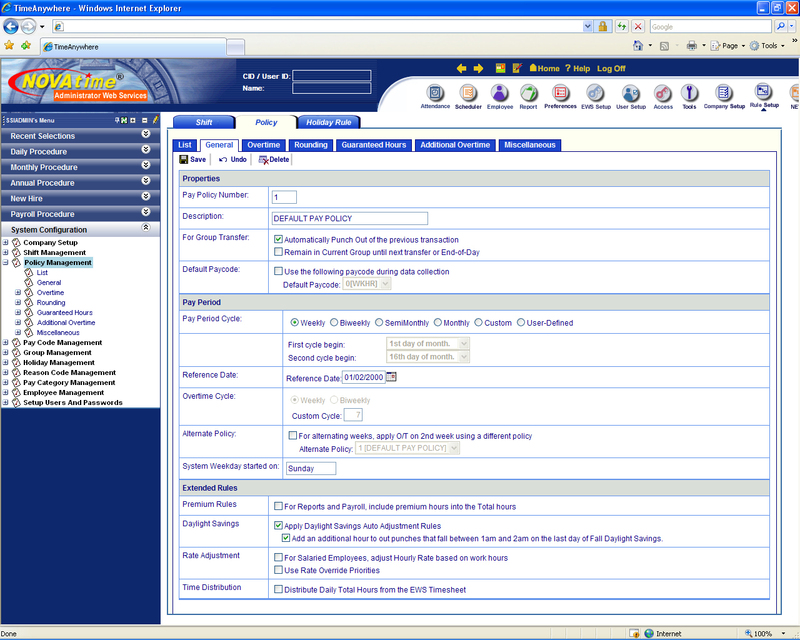 Administrators have an extensive set of tools to configure access rules, limitations, and set up security profiles to ensure the most dynamic controlled access, viewing, and sharing of information is allowed. Payroll Management - The NOVAtime 2000 features an exporting capability that provides a standard data is compatible with most major payroll systems and services (30 standard payroll interfaces included with over 200 more to choose from [call for pricing]). 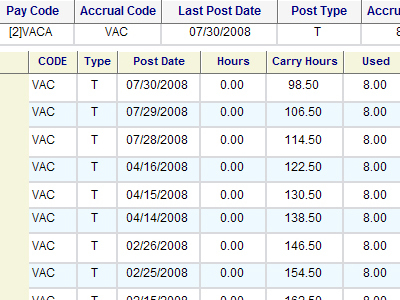 Accruals Management - The Accruals Module is designed to accumulate the number of hours earned towards various pay codes, such as vacation and sick pay. It also displays the deduction towards the same pay codes for an employee. Specific pay codes can be defined to accrue benefits. It can automatically accrue even the most complex accrual rules and will deduct any used time entered under the timesheet management automatically from the employee available balances, preventing the use of benefit hours when they are not available. Different accrual rules for different groups of employees can be defined, and manual adjustments can be done. While included in the system, by default the Accruals module is turned off unless specifically requested and required during the setup process. Point System Module (ADD-ON MODULE) - The Point System Module is a fully integrated performance tracking add-on that is designed to progressively track employees' punch and attendance practices and using this data to automatically generate merits, demerits, and employee notification documents. The Point System Module can track "bad" attendance behavior and reward employees with "good" attendance behaviors such as "perfect attendance", by either subtracting points or printing award letters such as bonuses, free lunch, paid day off, etc.